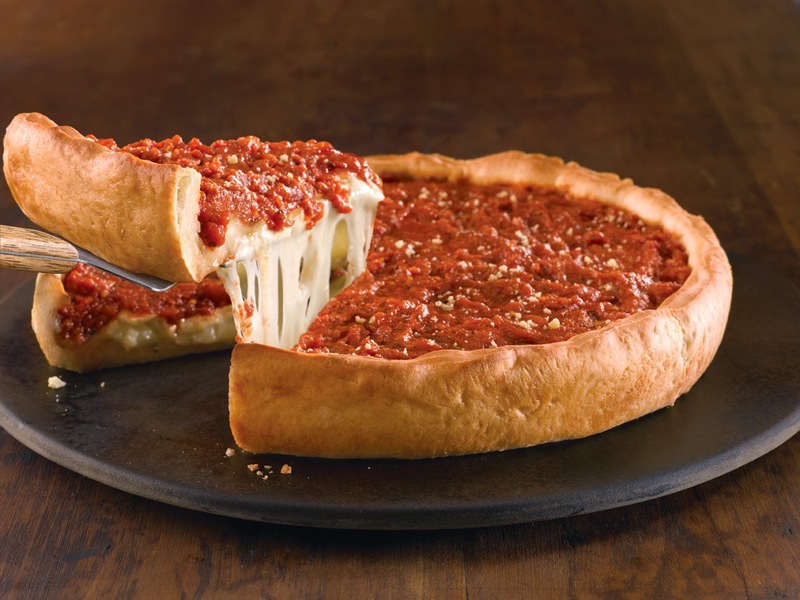 Pizza lovers who like to hang out at "The Pier" (Navy Pier, that is) can rejoice as a piece of Chicago's famous food culture - the legendary Giordano's Famous Stuffed Pizza officially opens today at that site. This is the 51st location for Giordano's and is located on the north side of the pier's main entrance. There's also an outdoor patio space so that you can enjoy that big slice of heaven while gazing out at the great city of Chicago. But wait...there's more good news. :) If you don't have time for a sit-down meal, you can still enjoy this slice of Chicago from a new grab-and-go kiosk alongside the pier's outdoor entry point at the promenade. It's a great, convenient way to have good eats without slowing down. Enjoy your pizza as you walk the length of the pier and take in the beauty of the lake and the skyline. At the kiosks you can get 6-inch individual stuffed pizzas from a built-in oven. It's near the entrance of the pier by the car drop off and will be open during regular pier hours. Happy eating!